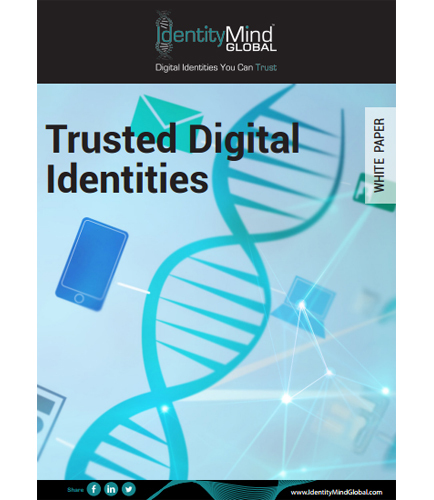 "Trusted Digital Identities & Security: Performing Identity Validation"
The legal and social effects of digital identity have become complex and challenging with attacks on multiple identity services. At a time when our dependence on digital identities is increasing, our trust in them is rapidly eroding. A Trusted Digital Identity is an identity that is real, that doesn’t have a history of fraud or potential money laundering, and that isn’t associated with nefarious organizations. There is clear value in performing identity validation beyond compliance. The more certain you are about dealing with a real identity, the better you understand the risk involved in a transaction. How to aggregate an individual’s online financial/payment behavior in order to predict the risk of doing business with that individual? What are the set of principles and standards for the use of accredited government and third-party digital identities to enable individuals and businesses to access services easier? What is the right tool for uncovering and stopping the complex digital identity theft? Secure File Transfer over email Reduces the Risk of Intercepted Information. Perfect Secure audited email file sharing solution is required to send, receive, track, monitor, and audit all of your confidential files. When selecting an EFSS solution you should look out for enterprise grade solution that can secure audited business file sharing from almost any private file or storage source, and public file cloud, enabling business users to share files quickly, easily, and securely. Large File Sending lets users email large files with no size restrictions, eliminating the security and compliance risks posed by file sharing services. Whats inside this whitepaper : How Storage Made Easy email file sharing add-in provides companies secure audited business file sharing? How to make employees more productive whilst not sacrificing data security and integrity with Secure audited email file sharing benefits including audit tracking,secure file sharing, remote file encryption?